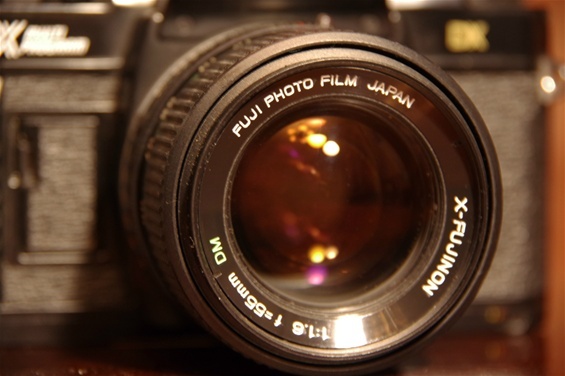 The Fuji company has made cameras for a very long time under different brand names. 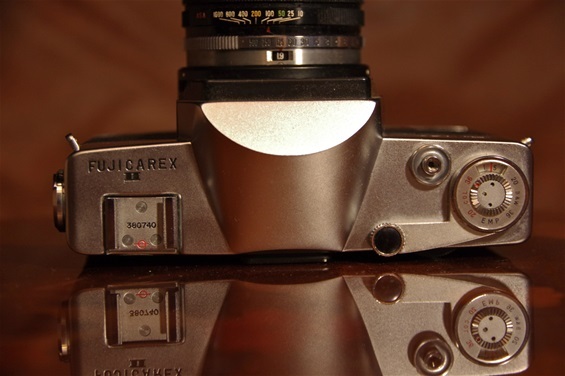 Their first PP SLR was the Fujica Fujicarex of 1962, wich did not become very popular. 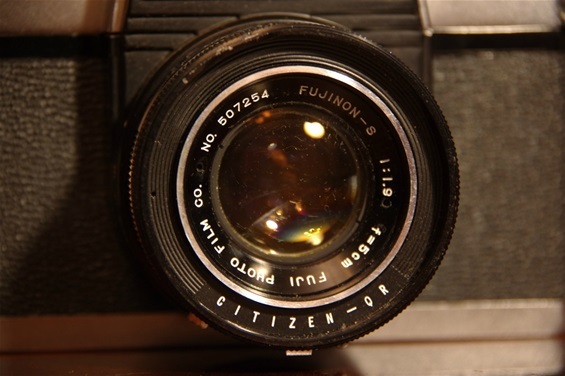 The Fujica brand was strengthened in 1971 with the 701 ST model. They continued to make good cameras until 1985, when the last film PP SLR was introduced. Note: The last models had the name FUJI as a brand name. 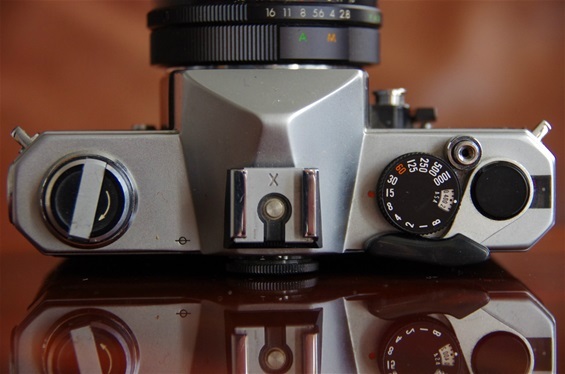 As from the introduction of their first digital slr in 2000, the company now call their photo division FujiFilm, making DSLRs. 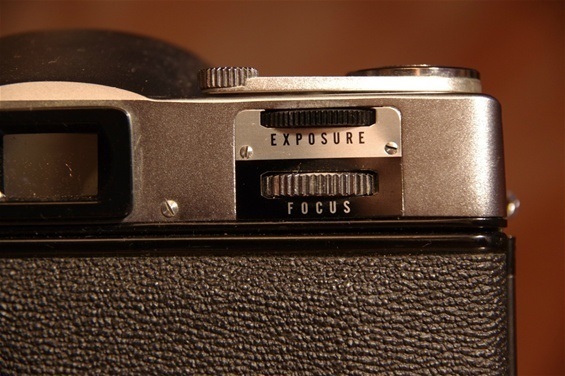 The Fujicarex II of 1963, featuring light metering through the selenium meter at the prism front. Weight: 899 with fixed lens. Size: 142x92x78 w. lens. (54) Sn. : 360740. The fixed Fujinon S 50/1,9 lens. Sn. : 507254. A special rounded shape on prism. Shutter time ring on the fixed lens. Never before - never after: exposure dial to turn until arrow was finding its correct place in the viewer. AND: another dial to focus! fast to operate! 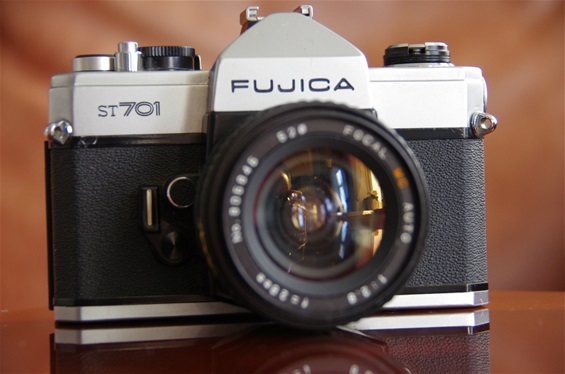 Fujica ST 701 was the first PP SLR camera to introduce a silicon cell for light metering. The silicon cell reacted faster to shifting light than the previous CdS cell. M42 screw mount. Weight: 465 grams. Size: 131x83x50 mm. Sn. 8081680. Very classic top plate design: Rewinder to the left, then shutter time dial with ASA setting, shutter release button in front, winder to the right and counter far right. Fuji Cooperation, a huge company involved in many sectors, made a change in name policy when marketing the very last models in the Fujica line. 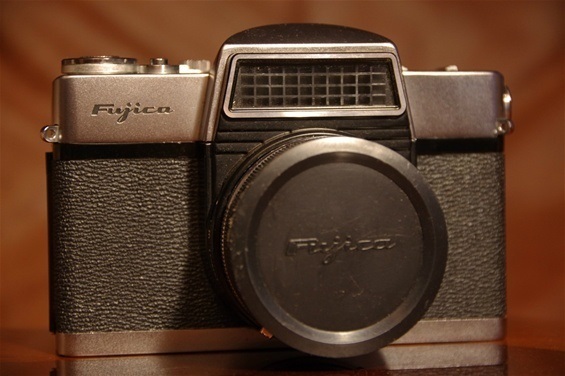 Gone was the Fujica name, only Fuji was left on the prism. One would believe that this was a strategy for a new start into a tough future. And it might have been the purpose as they went fully into the multi program world. But unfortunately 1985 also turned out to be the year of Minoltas sensational AF 7000 auto focus breakthrough. 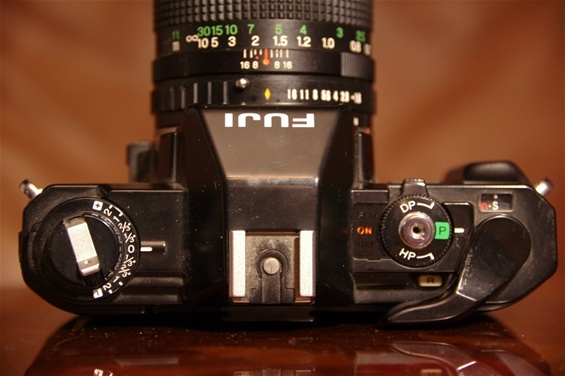 Realizing this, Fuji/Fujica gave up the 35 mm penta prism slr battle in 1987. But they did come back. Fuji Corporation renamed their photo division again and launched a series of digital SLRs from 2000 under the name Fujifilm. 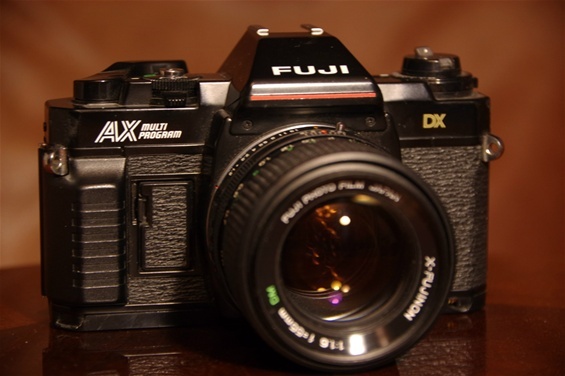 The last in the Fujica series: The Fuji AX Multi Program DX of 1985. A good camera, but lacking autofocus, and thereby doomed.